Providing a comprehensive new kitchen fit, we not only install and fit your kitchen, but take you through any initial consultation to ensure your kitchen design is exactly how you want it. Prompt and without hassle, we'll leave a clean environment throughout and after all stages of the fitting, and offer any routine or reactive repairs you might need in the future. Having somewhere to relax in your home is important, so if you feel that there isn’t anywhere that you can have your own space right now, then you may like to hear about what our loft conversion experts have to offer. We are able to work with the space that you already have in your home, and can really create a place where you can do whatever you like. All of our team have the knowledge and skills to be able to make the most out of your space, so if you are interested in seeing what we could create for you, simply get in touch with us when you’re ready. If you have a barn, then you may have decided that you would like to make more of the space, and turn it into either an added part of your home, or another building entirely. If this is something that you would like to do, then you are sure to like the skills of our barn conversion team, as we can create the perfect space for you. We can deal with every aspect of the conversion for you, meaning there’s nothing to worry about, so contact us to find out exactly what we could do to transform your barn into something special. If you are looking for a way to give your property a new lease of life, then updating your paintwork could be a good way to do it. Our team have great skills in both interior and exterior painting, meaning that you can look forward to results that you will be thrilled with. We have the experience and knowledge to know the perfect technique for every paint job that might be needed, so if you feel that this could be of benefit to your property in the near future, there really is no better time to get in touch to find out what we can do. If you are hoping to redecorate and paint onto plain walls rather than adding paper, then it is important that you have good quality plastering underneath – or you will find that there will be obvious lumps in the paintwork. If this is what you’re looking for, there is no doubt that we can provide you with this. Our team are skilled plasterers with the right amount of industry experience to ensure that a great job can be done. This will give you an excellent base to work with, so there is no doubt that it is well within your best interests to get in touch with us as soon as possible. If you are looking for reliable, conscientious roofing contractors, then look no further. We can help you with high quality repairs and replacements, and have a number of different materials to create the roof that you have in mind. Whether you would like more traditional slate and tiles, or would prefer modern flat roof systems, we can assist you every step of the way with planning, design and full construction. Would you like to find out more? Contact us today and we would be happy to help. Deteriorated tiling leaves any room looking run down, unhygienic and dirty. Therefore, we can’t stress enough the importance of keeping up appearances and maintaining a clean space, especially for washing or brushing your teeth! From new wall or floor tiling, replacing broken or old tiles, grouting or applying new silicon sealants for waterproofing, we have the experience to facilitate it all and only use the best products currently available on the market. Speak with one of our highly skilled team today to discuss your tiling needs and how we can help you. We employ a number of experienced painting and decorating professionals in our team to facilitate a broad range of decorative and restorative projects. Indoors or outdoors, whether you need a cracked wall filled in, plaster re-skimming, silicone sealant, wallpaper hanging or just a lick of paint, our skilled operatives have got you covered. With a wealth of experience in the industry, we understand the importance of a totally professional finish and keeping your property clean, well maintained and looking great at all times. Call us now to find out more. If you have decided that you would like to have your garage converted, there are lots of ways in which you could use the added space. No matter what you choose, it is important that you think about everything that needs to be done before the room can be used, and this includes the electrics. Our team can connect your new conversion to your current electric circuits, meaning that you can have full power in your conversion. This is great news as it means that you can make the most of the brand new room that you have created, so to get more information just give us a call. All types of windows and doors can be fitted by ourselves. From uPVC windows to patio doors, we can help you find the right solution for your home. 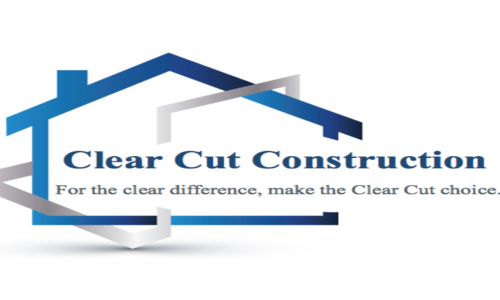 If you need a simple alteration or have an issue with your existing windows, get in touch today to find out how we can help. If you’re looking to buy a home at the moment, then why not think about having one built just for you? Doing this is really special, as it means that you can make sure that everything has been done to your specifications, and you will have everything that you need in your home. Our team can help you with many aspects of the building work, meaning that you will get a property that you are thrilled with. So, if you are looking for a house that really can become a home, you should get in touch with us as soon as possible to see what we can do. If you have a property that you would like to renovate, you may be excited about the difference that you will be able to make to it. However, there are lots of aspects that will need to be thought of, and this can seem a little overwhelming if you have a lot to deal with in your daily life. Our team can take the strain, as we have excellent skills in all areas of property management and renovations. We can oversee all of the work, ensuring that everything is done effectively, so get in touch with us to see how we could help. Many of us struggle for space in our homes, but if you don’t have the room for an extension then you may wonder how you can get the space that you need. The good news is that our conversions service can make the most of every inch of your roof space, to create a room that you will love. Our team can design a conversion that will fit perfectly in your home and give you the added space that you’ve been looking for, so if this is something that you would like for your own property, get in touch with us today to discuss your needs. If you have decided that you need some extra room in your property then an extension will be a great choice to make, however you will need to ensure that you have thought about everything that needs to be done. Once the building is in place you will need to consider the electrics, and our team can help you with this. Our skills mean that we can get you connected in the best possible way, leaving you with full power in your new space. This is an important thing to consider as soon as you can, so contact us to book a consultation. We can take care of all your ground work needs. Whether it’s foundation laying, installing drainage and pipework or any other aspects of ground works, we cover it all. Once the job is done, we will ensure the area is left safe, clean and tidy. Usually, we will perform ground work tasks before a new project - whether it be building your dream home or an extension to your existing home. Refurbishment, by its very definition, is the process of improvement - whether cleaning, decorating or re-equipping, we can provide interior and exterior modernisations and ensure your room or home is refurbished exactly to your specifications. Let us come and visit your property and we can give you the correct advice and guidance to guarantee you get the refurb you are looking for. If you have carpentry work that needs to be done in your property, you will want to be sure that everything has been done perfectly. The great news is that our team can help you with this, as we are experts in carpentry in addition to the other skills held by our team. This means that we can take a look at the work that needs to be done, and offer suggestions regarding solutions that would be perfect for you. If you would like our team to provide you with excellent carpentry work that will look stunning, simply get in touch with us for more information.